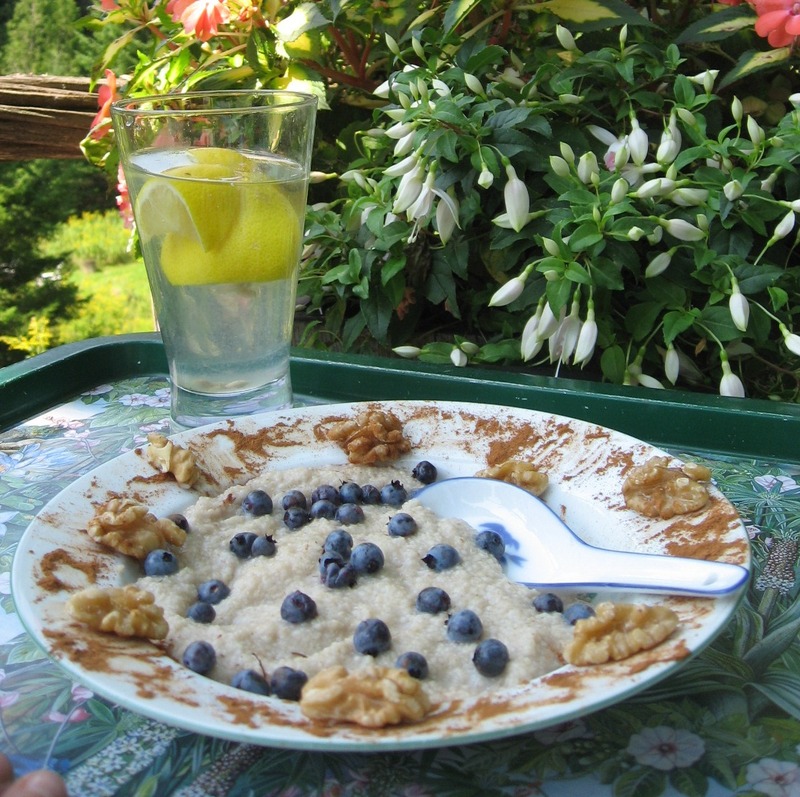 Anti-Cancer Breakfast Recipes: What Grain is Best for your Blood Sugar? a/ steel cut oats b/ oat flakes c/ oat bran. Which one? Bran, the oat’s outer covering. 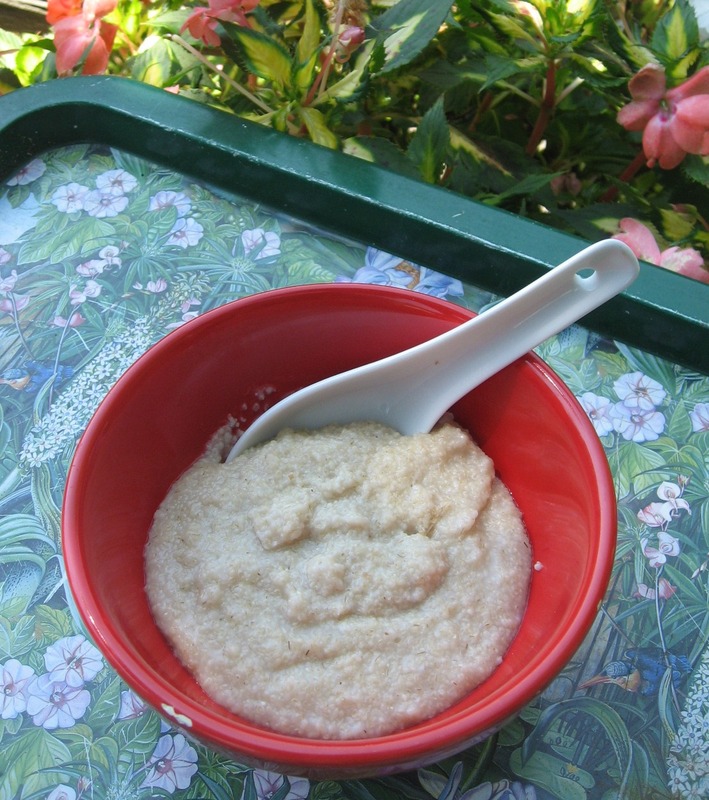 Pennies a serving, ready in a pinch, oat bran makes for a creamy, full-feeling breakfast. It’s packed with soluble (sometimes called “viscous”) fiber, which slows the rate at which food leaves your stomach, thus delaying your absorption of glucose after a meal. It also reduces your blood’s absorption of cholesterol. Plus—here’s my favorite part– oat bran absorbs so much water that it leaves you feeling satiated for hours. Flakes, on the other hand, cause your blood sugar to rise. They get steamed and rolled into thin pieces that, in turn, get digested quickly, thus creating a surge in glucose. Steel cut oats—the whole kernel chopped into pieces– are better. Because of the fibrous texture, it takes longer for digestive enzymes to reach the starch inside, which slows down the conversion to sugar. Bring the water to a boil, add the oat bran and salt, and stir for a very few minutes. 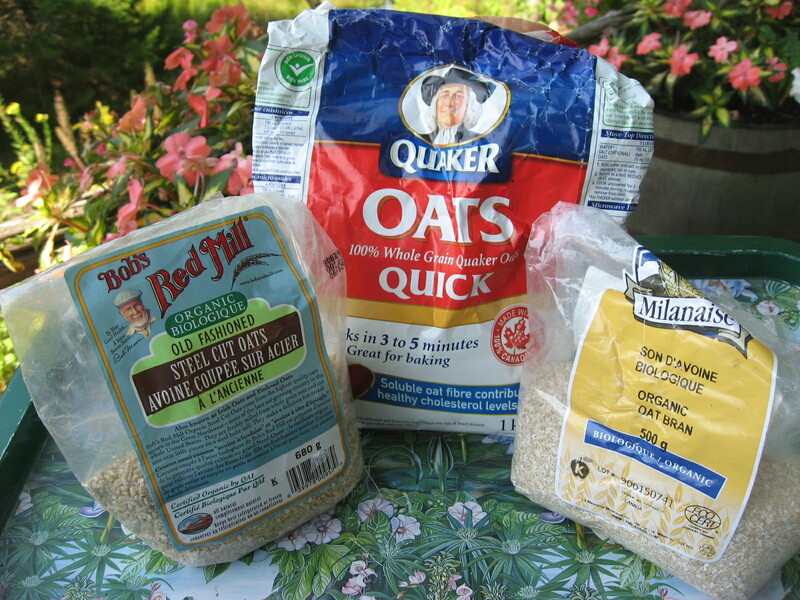 Yields: 1/2 cup of cooked oat bran, a perfect size for one person. For variety, sprinkle with cinnamon, nuts and blueberries, all good for controlling sugars, too. I prefer it plain; it’s yummy buttery, minus real butter. Of course, you’ll need to drink a lot of water to help the fiber do its thing. Want more anti-cancer breakfast suggestions? This entry was posted in Blood Sugar, Breakfast, Grains and tagged anti cancer dietary strategies, anti-cancer, anti-cancer diet, anti-cancer foods, anti-cancer recipes, cancer prevention, foods that fight cancer, healthy eating, healthy foods, recipes by hsugarmill. Bookmark the permalink. And where do whole oat groats fit into the picture? Slow cooked? Same as steel cut oats? Scroll down to the oats section and have a look at the glycemic loads. I’m not sure the chart answers your question, however. We were told taking daily vitamins and medicine with soluble fiber is a mistake. Your thoughts? My guess is that you were told this because the phytic acid in oat bran and other grains, beans, nuts and seeds can bind certain minerals, including zinc, iron and calcium. Phytic acid has been called the dilemma in human nutrition because it has good properties (including anti-cancer ones) as well as bad ones (interferes with amino acid absorption too.) For a good review, see http://home.ueb.cas.cz/COST926/schlemmer.pdf. The best strategy would be to eat oat bran and other foods containing phytic acid several hours apart from supplements or food sources of protein, calcium, iron and zinc. Have your oat bran for breakfast–your salmon for dinner, for example. I tried the oat bran and loved it. It’s tastier than I thought it would be. It’s a great option – thanks for the great tip! as always, your posts are full of great information to have a healthy disease free day!